Size: approx. 5 mm. Photo: 04/29/12, 10 pm. The name crazy ants reflects their erratic and fast movements and their tendency not to follow trails as as other ants. 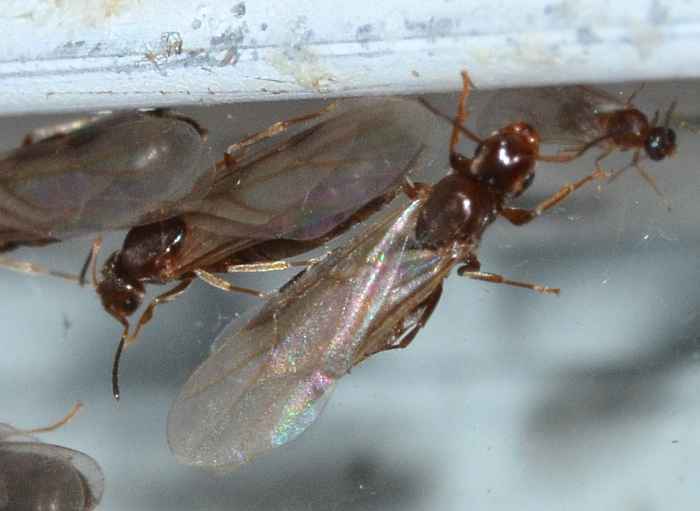 These small ants live in soil, leaf litter, and rotting wood. They typically perform their mating flights in late April through May. This bunch was clearly attracted by the light in our living room.